Le VPN, one of the top industry leaders in providing Internet privacy and security for individuals with its largest VPN servers network in 114 countries, has releases an Android VPN app. This new Le VPN Android app is now available for download in the Google Play Store, as well as in the Le VPN client area, where it is offered to all current Le VPN clients and to new subscribers without any additional fee. The new Android VPN app by Le VPN offers a secure one-tap VPN connection with an OpenVPN protocol, IP address change to IPs in 114 countries, and a very easy and intuitive app navigation. 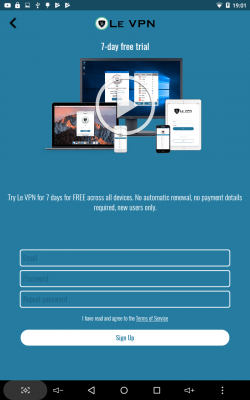 For a limited time only during the app launch, Le VPN offers a 7-day free trial to all new users. A free trial is also currently offered on Le VPN iOS app which was released in May this year. According to Le VPN’s spokesperson, though, these free trials both on iOS and Android apps can be retired at any time as the app is adopted by thousands of users daily. Indeed, it has been a busy year for Le VPN team, who have first released their new Le VPN software for Mac in March 2017, followed by Le VPN software for Windows release in April, Le VPN iOS app for iPhone/iPad launch in May and finally the Android app now. Le VPN has also added a 4th security protocol this year, IKEv2, used on its iOS app, which is added to the list of OpenVPN, PPTP and L2TP/IPSec protocols. All the new product upgrades including new software and apps are available to all Le VPN clients free of charge and are a part of the same all-inclusive Le VPN plan that starts at $4.95 per month and that can be purchased on a monthly, semi-annual or annual basis. Le VPN also allows clients to run two simultaneous VPN connections on two different devices, and encourages clients to use its service on a router level to VPN-protect an unlimited number of smart devices connected to that VPN router. 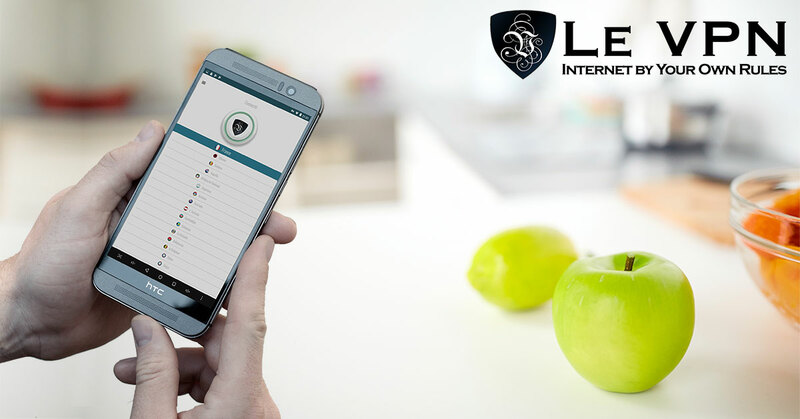 All Le VPN apps and software are available worldwide in English, French, Spanish, Russian and Italian, and can be accessed after subscribing to Le VPN on www.le-vpn.com, or in the AppStore/ iTunes for iOS devices, or in Google Play Store for Androids. Le VPN is a VPN provider that is now available in 160 countries. With servers in 114 countries around the world, providing solutions on the cutting edge of technology and innovation, Le VPN aspires to conquer the general public with its safe, ergonomic, and secure service.